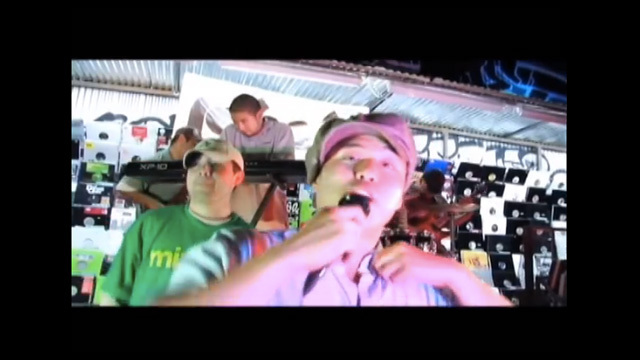 Throwback Thursday: That time Randall Park was a rapper. In honor of last night's broadcast premiere of Fresh Off The Boat, I present this vintage video of series star Randall Park, who plays patriarch Louis Huang on the show. Back in the day, circa sometime in the middle of the last decade, Randall moonlighted as an emcee for the LA-based hip hop group Ill Again. Fun fact: this video was directed by Evan Jackson Leong, who would later go on to direct, among other things, the hit feature documentary Linsanity, about the rise of basketball superstar Jeremy Lin. On a personal note, the video was partially shot at Rehab Records in Los Angeles, where I saw Far East Movement perform for the first time. It's like a fun little time capsule. To hear some more, you can actually still order Ill Again's self-titled album here.